In its effort to make legal aid easily accessible to the marginalized communities and citizens living in rural areas, the Government of India has launched the ‘Tele-Law’. 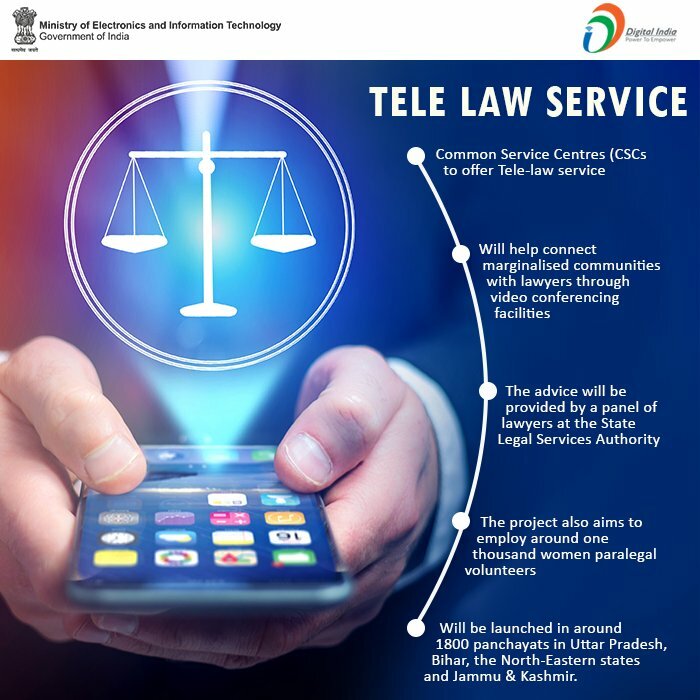 The Ministry of Law and Justice partnered with the Ministry of Electronics and Information Technology (MeitY), which anchors the Digital India programme, to provide legal aid services through its Common Service Centres (CSC) at the panchayat level, spread across the country. 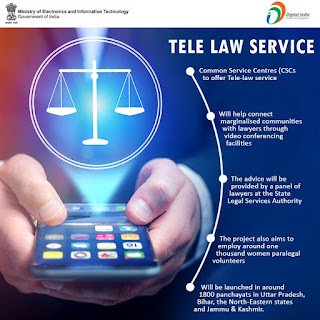 In the first phase, the ‘Tele-Law’ scheme will be tested as a pilot across 500 Common service Centres (CSC) in Uttar Pradesh and Bihar to understand the challenges and make necessary corrections to the scheme before it is scaled up and rolled out across the country in a phased manner.